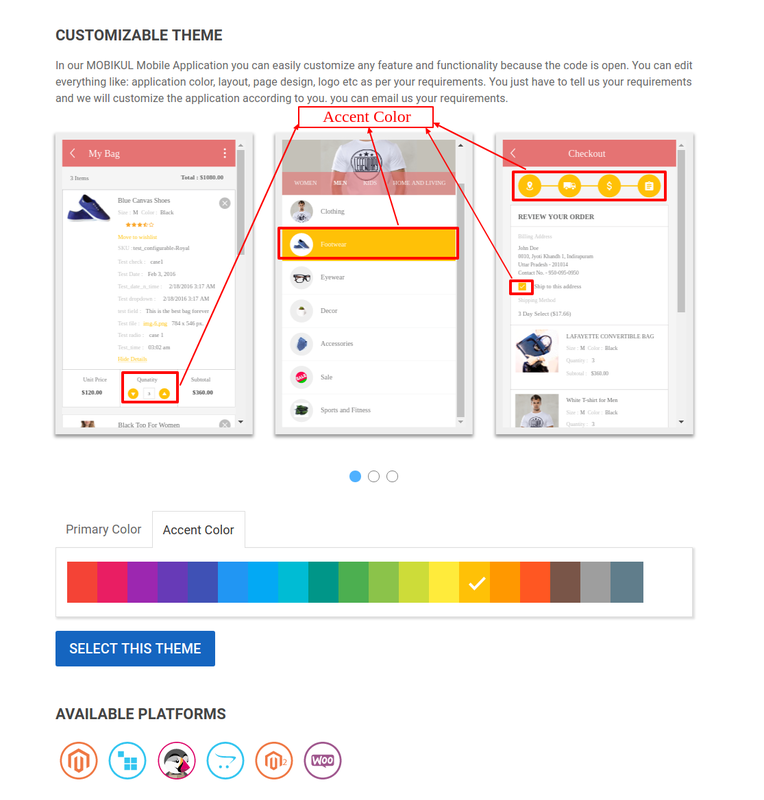 How can you choose the color code for your mobile application? Here, you can simply choose the Primary and Accent (Secondary) color code as per the below image. Primary Color selection- From here you can easily select the Primary color and its shades as per your requirement(as in the screenshot below). Accent(Secondary) Color- On clicking the Accent Color you can select the Secondary color which is reflected on image carousel. 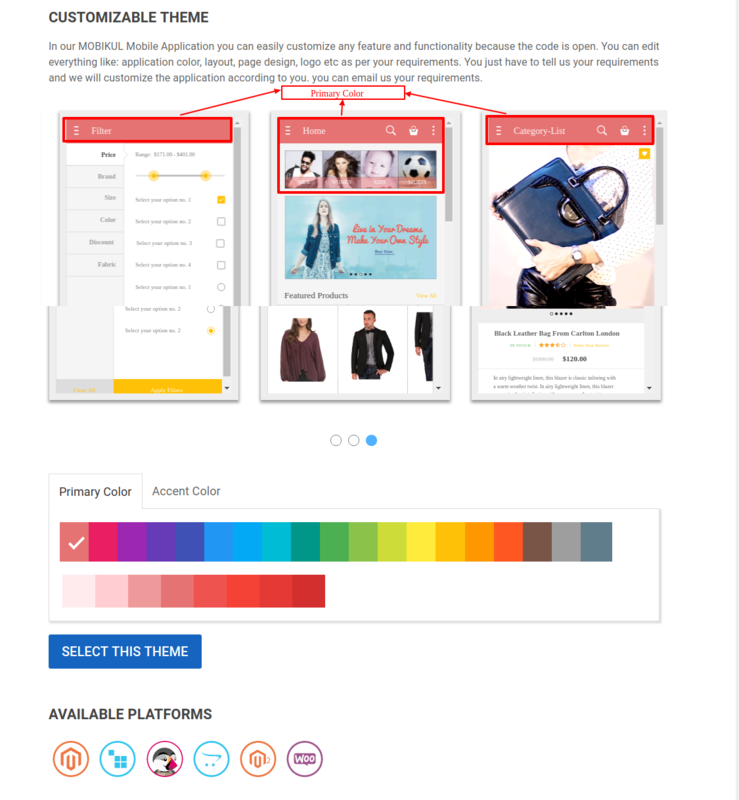 After color selection, you can click on Select The Theme which leads you to a Pop-up. 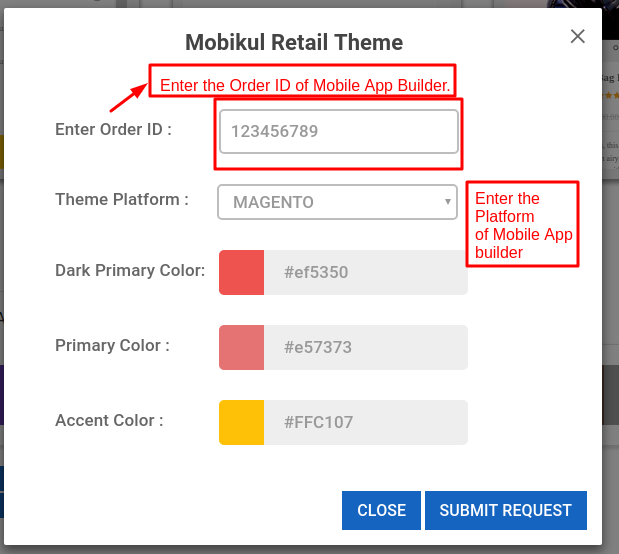 You can Submit Request from here and the Order ID which you will enter must be the Order ID of your mobile app builder.